EnduroShield is water and oil resistant which is perfect for behind the stove and sinks. 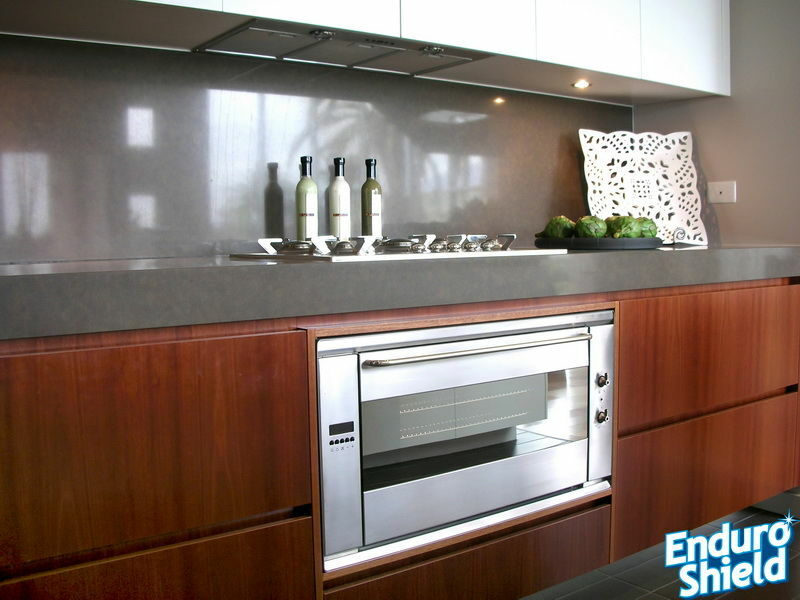 EnduroShield is also heat resistant and can be used on the exterior stainless steel and glass surfaces of ovens. Similar to a non-stick fry pan, cleaning is made easier using only water and a mild detergent or with a microfiber cloth. 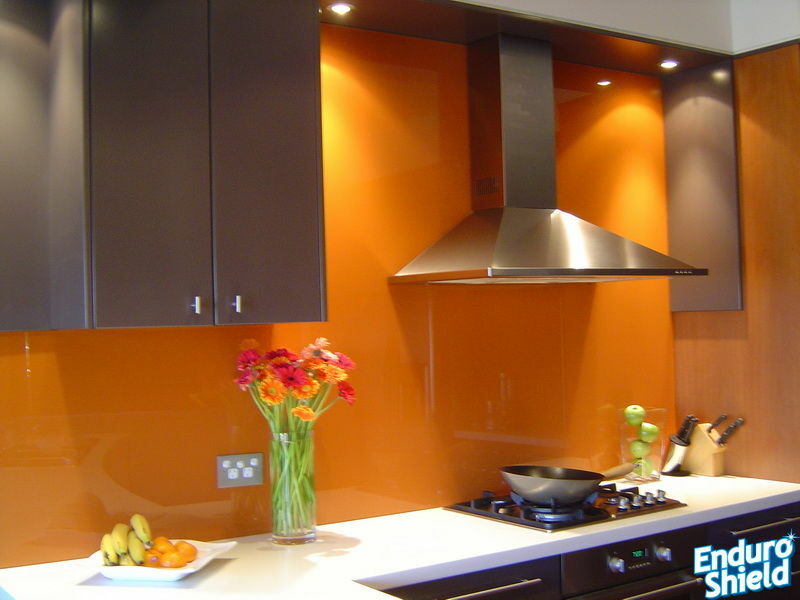 EnduroShield can be applied to all new or existing kitchen surfaces such as glass splashbacks, glass shelving, rangehood glass, mirror features glass cook tops.